Europe/America private international e-games organizers and Co-sponsors, MICROSOFT / STAATSLOTERIJ, officially bring to your notice of the final draw result of May -2007 MICROSOFT / STAATSLOTERIJ wheel E-game which was conducted at our international corporate office complex in The Netherlands. Most recently this foundation set up the NEW LOTTERY SCHEME to give outprizes based on COMPUTER BALLOT SYSTEM. By doing this the foundation seek to encourage the use of Internet for academic and business pursuits. It major aim is to promote music, theater, art and literature projects in the social and political arena with a focus on health, as well as science, research, and higher education. We wish to congratulate and inform you on the selection of your email coupon number which was selected among the 45 lucky consolation prize winners. Your email ID identified with Coupon No. 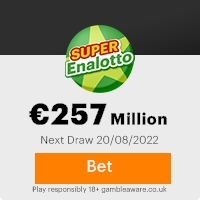 MSTL-146478972197 and was selected by our E-games Random Selection System (ERSS) with entries from the 50,000 different email addresses enrolled for the E-game. Your email ID was included among the 50,000 different email addresses submitted by our partner international email provider companies. You have won a consolation cash prize of �550,000.00 (Five Hundred and fifty thousand Euros) only. The MICROSOFT / STAATSLOTERIJ Group have approved a payout of your consolation cash prize which will be remunerated directly to you by the official Payment Agency Board. Our DUE PROCESS UNIT (DPU) will render to you complete assistance and provide additional information and processes for the claims of your consolation prize. For due processing of your winning claim, please contact the DPU Information Officer Mr. Frank Cole who has been assigned to assist you. Once again congratulations from all our staffs on your consolation prize winning, we hope you will partake in our forth coming MICROSOFT / STAATSLOTERIJ Email-games. NB: In accordance with the MICROSOFT / STAATSLOTERIJ E-games policy and regulations, this notification is dispatched directly to only the 45 lucky consolation prize Winners. This notification also contains information that is proprietary,privileged or confidential or otherwise legally exempt from disclosure. If you are not the right recipient whose email address attached to the lucky numbers along with the winning information�s you are not authorized to read, print, retain, copy or disseminate this notice or any part of it. This Email with the Subject "CONGRATULATION!! !YOU HAVE WON PRIZE" was received in one of Scamdex's honeypot email accounts on Wed, 02 May 2007 08:13:57 -0700 and has been classified as a Generic Scam Email. The sender shows as "staats notice" <staatspro6@hotmail.com>, although that address was probably spoofed. We recommend that you do not attempt to contact any persons or organizations referenced in this email, as you may expose yourself to scammers and, at the very least, you will be added to their email address lists for spam purposes.